Stampin' Up! UK Demonstrator - Teri Pocock: Stampin' Up! Demo - Starter Kit Offer!!!! Stampin' Up! Demo - Starter Kit Offer!!!! 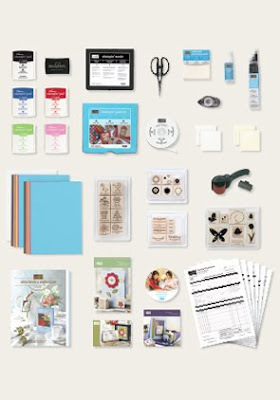 Become a Hobby Demo and take advantage of the fabulous discount you will be entitled to on every order you make for supplies just for yourself. Or ...... become a Business Demo. You can choose the hours to suit you. You can work from home and fit in and around the rest of your family. Your business would be based around a wonderful activity that you love and can share with others. Join the Stampin' Up! family and enjoy working with their gorgeous products .... and earning money through them. Alternatively .... you could be a bit of both. Some Hobby Demos also sell to friends and family .... or they may run the occasional workshop or party. As a Stampin' Up! Demo, you can do as much or as little as YOU want to do. There is no pressure ..... but there is all the support, help and advice that you want :o) Your only commitment is to meet the quarterly requirement in sales/purchases. For more information on the offer and the kit CLICK HERE.